While looking for healthy eco-friendly air conditioners I came across these units. Clearly, these units are by far the most energy efficient units on the market. 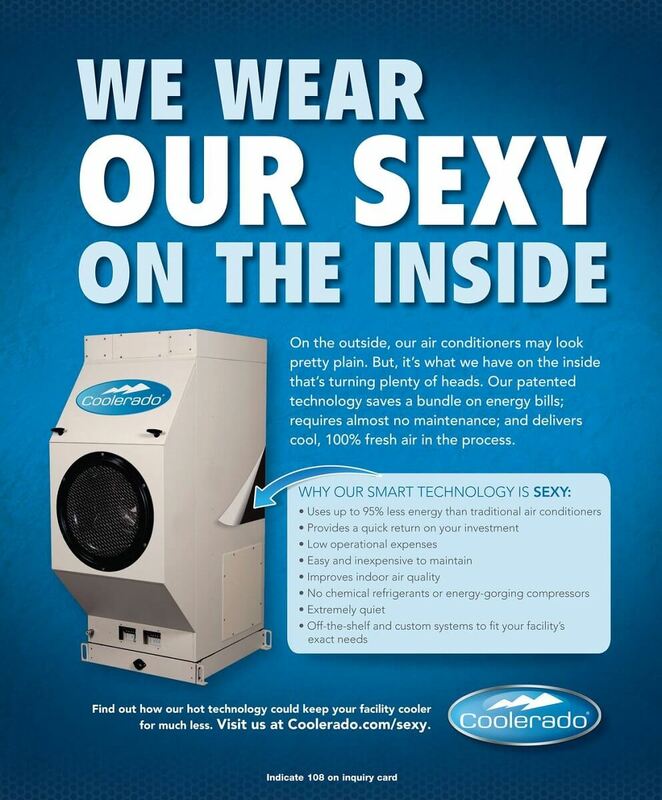 Coolerdo is a brand new way of cooling with Indirect Cooling Technology. This new revolutionary patented cooling technology is refrigerant free and does not require compressors to cool or recycle interior air. Therefore the technology applied in the Coolerado air conditioners cooling system runs fresh air from outside the building through air filters. After that, the air runs through a heat mass exchanger. (HMX) In this process, the system produces a new more comfortable Air that is far healthier than that of conventional air conditioners. However, the bonus is that this system utilises less than 10% of the energy required to run regular air conditioners. Traditionally this type of cooling was brushed away as impossible. Chemical coolants, as well as compressors, are critical in creating cool air. As we all know this is one of the most damaging factors in global warming. In fact, this is a big win for the environment as conventional air conditioners are not only unhealthy to humans they are also harmful to the environment. As a result, the significant benefits include cleaner air, lower carbon footprint and 80% less energy. Yes, that’s correct these systems need 80% less power to give cleaner healthier air. In the diagram on the left one can see the air entering the Coolerado Air Conditioner and the result of the colder air coming into the home. The Coolerado HMX is developed taking advantage of M-Cycle economically. The HMX has some plastic plates that are designed to wick water evenly on the one side at the same time transferring heat to the opposite side. These plates fitted one above the other separated by channels guides. The channel guides divide the incoming air stream into product air and working air. In fact, the product air will always be separate from the working Air and will remain in the dry channel for the entire length of the exchanger. After that, the air travels to the space designated for cooling. The atmosphere is, therefore, filtered from dust as well as allergins. Moving the air into multiple channels directed into wet channels. Therefore, Transferring the heat to the working channel as evaporation. The exhausted hot air is then exhausted out the sides into the atmosphere. As a result, air is separate from working air and will not come in contact with the wet surface. Occurring multiple times in a short space within the exchanger. Therefore, releasing cold air with no added humidity. These units can be designed, for ant application. This is not a swamp cooler. Therefore using evaporation, this system is Indirect Evaporative Cooling. There is no moisture added to the air. In fact, most of the air dawn in is saturated, with water. As a result, this system removes the water and send it straight back into the atmosphere. Therefore the other half is cooled without water and sent into the home as fresh, clean air. As we know conventional air conditioners recycle air however these systems send only clean, fresh air into the house. One of the most significant factors is that these units do not require harmful Freon Gas that traditional air conditioners will use. Therefore, creating cold, air without the detrimental effects of global warming. In fact, a system that will cool a 250m2 home can be run of 4 Solar Panels comfortably. Therefore cooling a home with clean air at a fraction of the cost is a huge factor in energy saving as well as home comfort. Homes insulated with the correct roof insulation will improve the temperature even more in the home. As a result, the energy used will be reduced even more.